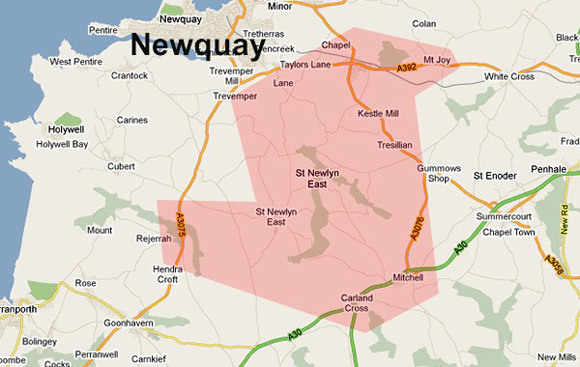 South Newquay in Cornwall, England are to see the first official trials of LTE technology in the UK. BT (British Telecom) and Everything Everywhere (the T-Mobile/Orange partnership in the UK) have been granted permission to use part of the 800MHz spectrum for the LTE trials. The UK is currently in the midst of the 'digital switchover' as the nation's television infrastructure is being transformed from analogue to digital. This change has allowed the 800MHz spectrum to be freed up and as such, telecoms are chomping at the bit to make use of this as the UK's new LTE 4G network. The UK is a little late to the party with respect to LTE as the US, Germany, Sweden and Japan all have public 4G networks now. The trial site itself is situated down near the most southerly point of British Isles near Newquay, Cornwall. More remote areas such as this (aka black spots) still don't have proper access to broadband internet and as such this trial is an attempt to provide them with the fastest available wireless connectivity without the need to run expensive cables into the ground. Prospective participants living in St Newlyn East, South Newquay, have been asked to register their interest in the trial via a website, half of the participants will then receive modified wireless routers and the other half, 4G dongles for individual devices such as laptops. The trial is also being supported by the likes of Nokia, Siemens, Huawei and the Cornwall Development Company and will take place between September and December of this year. Assuming all goes well, companies will be vying for the frequency when it is auctioned off on completion of a consultation period, already underway. By 2014 the UK could possibly have a fully established LTE 4G network infrastructure. We sure hope so. you have g Wimax, not LTE. This is different nanotechnology. Norway has had 4G for some time now - unless I remember wrong, we had it before any other country.